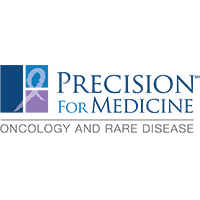 Precision for Medicine, Oncology and Rare Disease is the first comprehensive, fully-integrated CRO devoted to oncology and rare disease innovation. With over 1400 experts in 30 offices worldwide, Precision offers novel clinical trial designs, industry-leading operational and medical experts and advanced biomarker solutions for pharma and biotech innovators. Providing a full suite of clinical and translational services, Precision’s worldwide footprint and deep scientific expertise enable us to effectively run the most complex trials anywhere in the world.